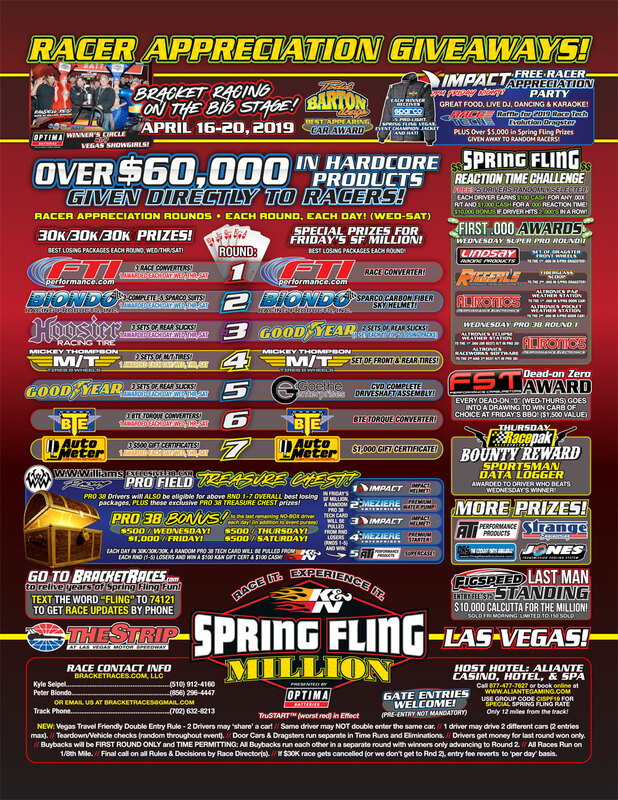 Tuesday April 16 2019, free test n tune and 48 car shootout. Wednesday April 17 2019, $30k prize to the lucky winner! Thursday April 18 2019, $30k prize to the lucky winner! 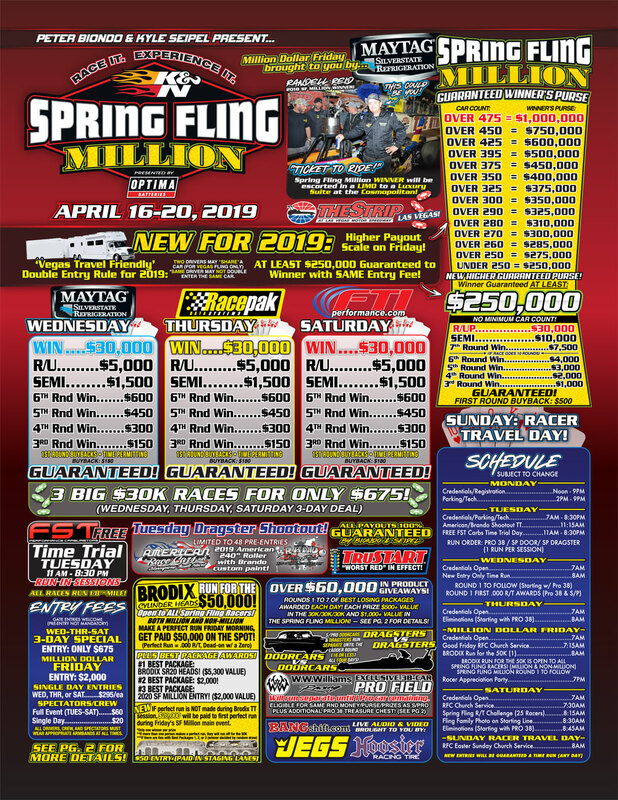 Friday April 19 2019, Spring Fling Million Main Event. 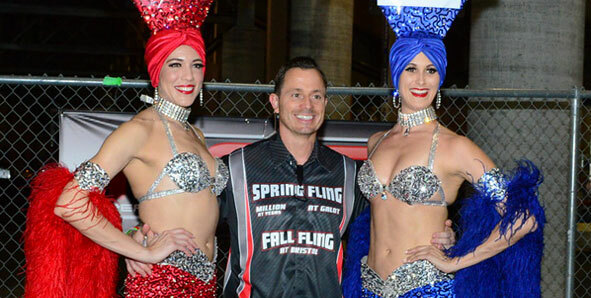 Saturday April 20 2019, $30k prize to the lucky winner! 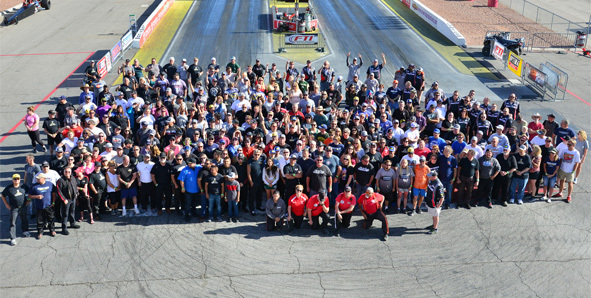 Sunday April 21 2019, Racer Travel Day. Travel Safe!